Today is Poppy Day, sometimes referred to as Remembrance Day, which is a memorial day observed by many nations since the end of World War I to remember all who have died in the line of duty. 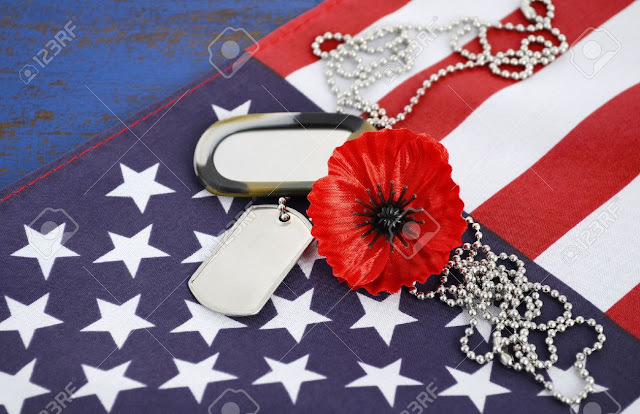 For most nations, this day corresponds to Veterans Day in the US, but last year the US Congress, with much support from the American Legion, passed Resolution 309 which established the Friday preceding Memorial Day as National Poppy Day. Poppies were worn for the first time at the 1921 anniversary ceremony. At first real poppies were worn. These poppies bloomed across some of the worst battlefields of Flanders in World War I; their brilliant red color became a symbol for the blood spilled in the war.